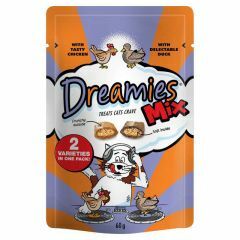 Dreamies Cat Treats are irresistible to cats. 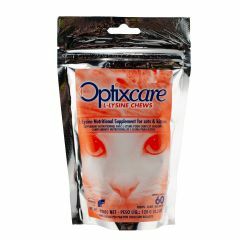 With a crunchy outer shell and a soft centre, your cat is sure to go mad for these treats. 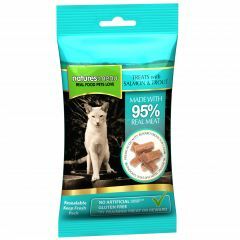 Natures Menu Real Meaty Cat Treats 60g are made of 95% real human grade meat. 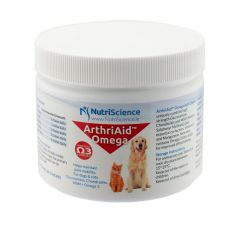 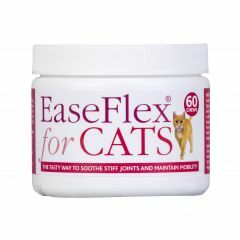 They'll be irresistible to your cat so are great as a reward. 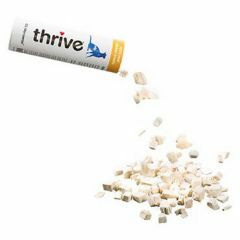 Thrive Cat Treats use only wholesome, fresh ingredients gently preserved by freeze-drying to lock in all the taste and goodness creating a treat your cat will love. 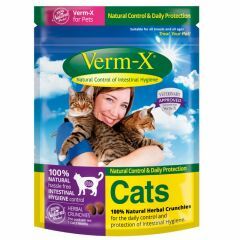 Verm-X for Cats Crunchies are a super-premium treat with the added Verm-X feline formula. 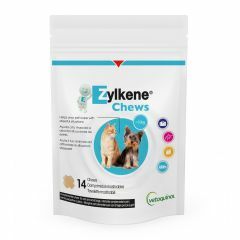 The palatable biscuits are fed on a daily basis throughout the year, providing effective natural control of intestinal hygiene for your cat. 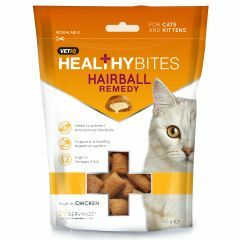 VetIQ Healthy Bites Hairball Remedy Treats for Cats help to prevent and remove hairballs by assisting the passage of swallowed fur through the gut. 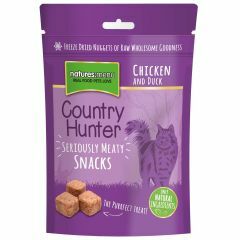 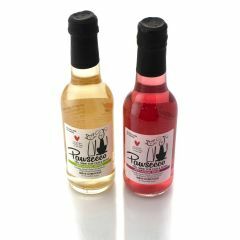 These treats from Hatchwells are something that your cat is sure to love. 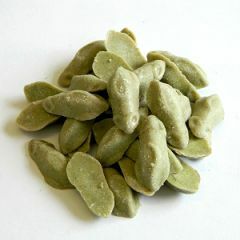 Not only do these treats contain catnip, but they are also shaped like a mouse! 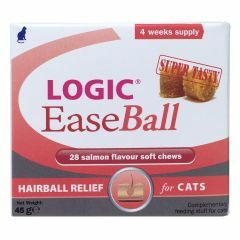 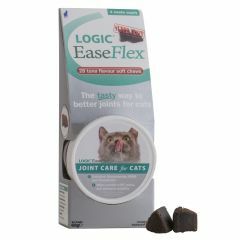 Logic EaseBall Chews for cats are salmon flavoured chews that will help to reduce hairballs by lubricating the digestive tract and therefore allowing fur to pass through the gut. 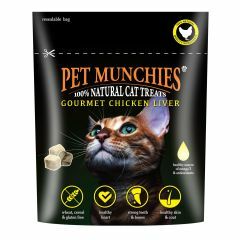 Pet Munchies Gourmet Cat Treats are 100% natural, freeze dried treats which are low in fat and calories as well as naturally hypoallergenic. 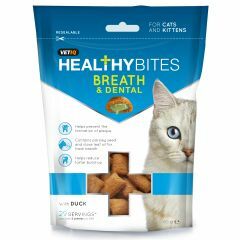 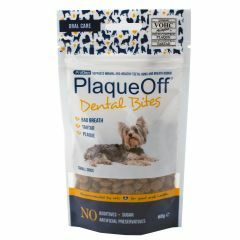 VetIQ Healthy Bites Breath & Dental Treats for cats and kittens are delicious duck flavoured dual action treats which help prevent the formation of plaque, reduce tartar build-up and help keep your cat's teeth and gums healthy.